Fifty-six million years ago, just before earth's carbon dioxide levels and average temperatures soared, many species of primitive primates went extinct in North America for reasons unclear to scientists. Now, a study of fossilized molars appears to exonerate one potential culprit in the animals' demise: competition with primitive rodents for food. In a study described in an advance online article in the American Journal of Physical Anthropology and conducted primarily by Kristen Prufrock, now a graduate student at the Johns Hopkins University School of Medicine, a team of paleontologists examined dental clues to the diets of so-called stem primates and rodents who plied North America at the end of the Paleocene epoch. Other paleontologists had suggested many of the stem primates—which superficially resembled rodents but had some primate characteristics, such as long, grasping fingers—died off because rodents outcompeted them for their preferred foods. But when Prufrock, then studying at the University of Toronto Scarborough, and her colleagues took CT scans of 13 rodent and 181 stem primate jaws held in multiple museums, the shapes of their molars revealed that most of the primates ate different types of food than the rodents. The results, says Prufrock, call into doubt the idea that food competition with rodents killed off the primates. Most of the jaw specimens were collected in Wyoming and Montana and were scanned with a micro CT scanner. Second mandibular molars used for grinding food were isolated using imaging software. 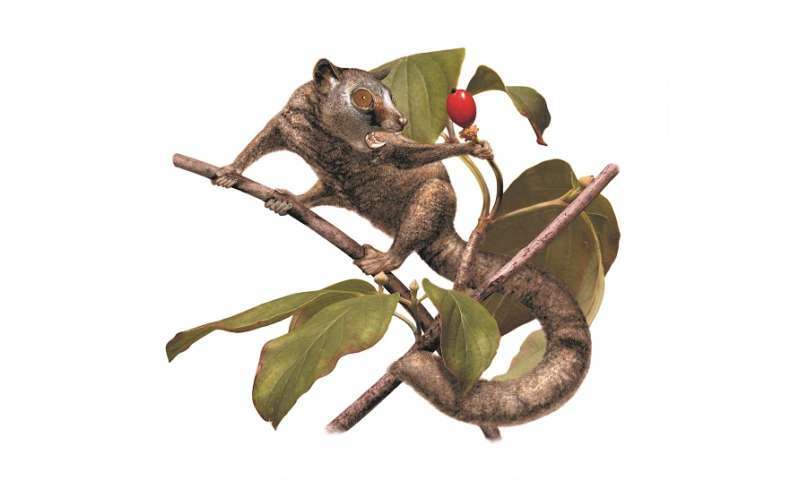 "We found that one genus of stem primates, Chiromyoides, lived at about the same time and had adapted to eat the same foods as primitive rodents, but the others either were adapted to eating different foods or lived at different times," Prufrock says. "So competition from rodents was unlikely to have been the main reason for the decline of most of the stem primates. Something else must have been the driving force." Prufrock says the North American primate extinction drew her curiosity because of its broad evolutionary implications. "Many of these stem primate groups seem to have gone extinct at the same time, but some survived much longer," she says. "Ultimately, we want to know what traits made those survivors special and what that tells us about the biology, physiology and adaptations of modern primates." Prufrock plans to continue the work she began in the laboratory of Mary Silcox, Ph.D., in Toronto to gather dental clues that shed light on how the ancient animals lived—and, ultimately, how and why they died off. Interesting work. Looking forward to seeing new ideas on the cause(s) of the extinctions.